The team at Gleim EA Review shares exclusive discounts and coupons with our readers from time-to-time. The Gleim Enrolled Agent Course discount codes are usually exclusive and are the most generous ones available. Disclosure: The I Pass Team may earn a small amount of compensation if you purchase from our links; however, our team uses these revenues to maintain the site and produce awesome free content just for you! Is Gleim EA Review the Best Enrolled Agent Course for You? Gleim EA has been around since for several decades, and so many enrolled agents have used Gleim to pass that you’re unlikely to meet someone who hasn’t heard of Gleim. But that doesn’t mean it’s the best enrolled agent course for YOU. Always consider your learning style, and if these factors are on your enrolled agent course must-have list, then maybe Gleim EA is the best course for you! 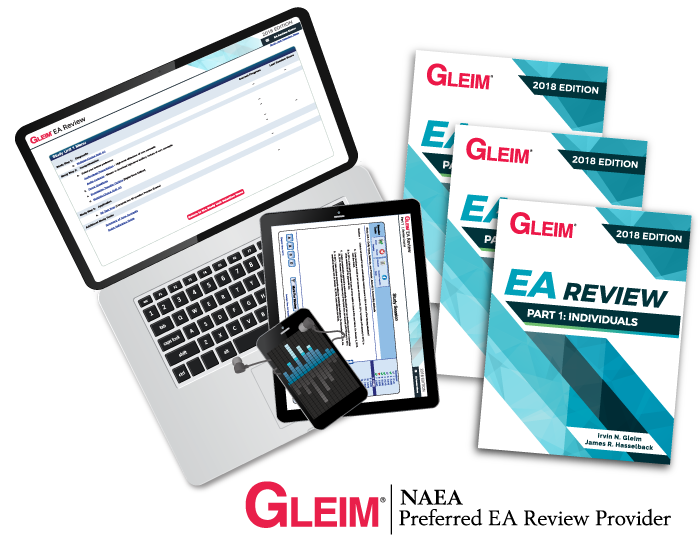 If you need more information about Gleim, check out our review of Gleim EA. If you’re looking for the best Gleim EA discounts, you’ve found it! These Gleim EA discounts are just for you, I Pass EA Exam readers! We hope you liked this Gleim discount code article and found it helpful. Feel free to reach out if you need any assistance from our team! And we’ve got you covered if you would like an EA course comparison.